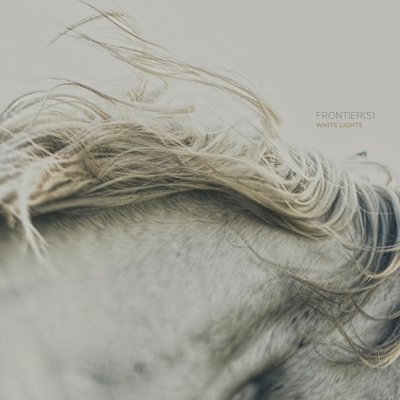 Frontier(s) came on the scene in 2010, creating some excitement with ex-members of Elliott and Mouthpiece writing pretty solid, Revelation Records-style rock on a single and ensuing full-length. Then, they more or less disappeared. Four years later, they've returned in strong form with the White Lights EP, a rousing comeback that happens to the best thing they've done so far. Sure, Frontier(s) still by and large sound like a riff-rock extension of Elliott, maybe similar to the route the reunited Sunny Day Real Estate would have gone based on their recent “Lipton Witch” single split with Circa Survive. But as anyone who's paid attention to adept emo veterans playing rock is aware of, that extension often yields pleasurable results (cf. the Jealous Sound, Further Seems Forever, Hey Mercedes), with Chris Higdon's uniquely strained voice giving things strong character. White Lights essentially operates on two plains: introductory straight-ahead rock (“Higher Hills,” “33/3”), and more flexible, freewheeling affairs (the patient “Our March” and “A Low High,” both of which clock in at nearly six minutes apiece). “A Low High” is a little missequenced, granted; it's Frontier(s)' take on arena rock, with a conclusive-sounding, oft-repeated refrain (“I turn to love/I turned too late/I turn to love/Without fearing”) that's followed by the quicker, snarling closer “Bare Hands,” the angriest song on White Lights. It's a relatively minor flaw on an otherwise rather compelling effort overall, though.